A mediocre slide at best, not quite sharp and with a freeway railing in the foreground, whose only saving grace is that I've never seen a shot of this trackage anywhere else. 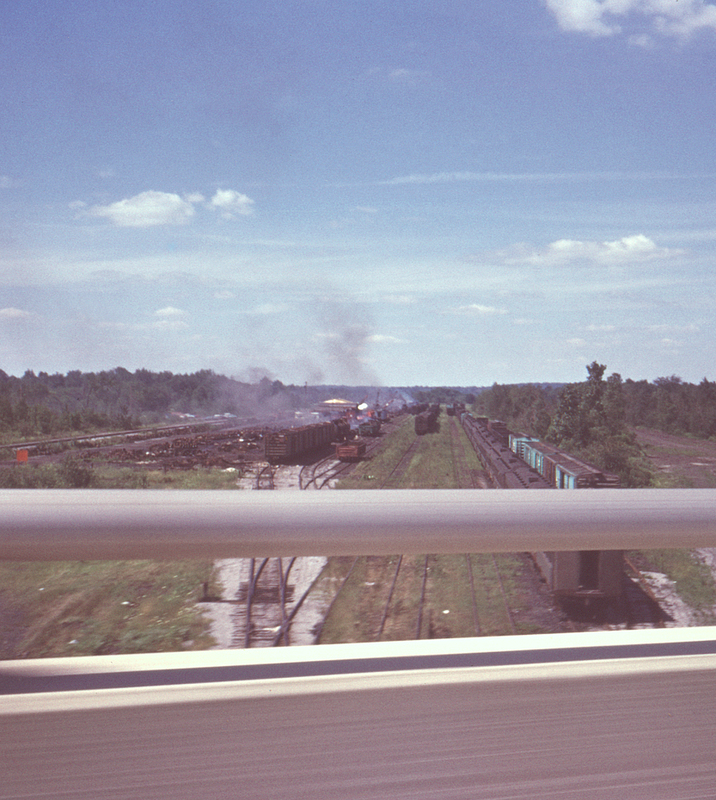 This is the New York Central's line from Youngstown to Ashtabula, Ohio, shot from Interstate 80 just northwest of Hubbard, Ohio (and just east of Doughton Junction). The Central's mainline is at the far left, with most of the photo occupied by a modest yard located in a wye serving the Central's Sharon, Pennsylvania branch. Apparently by this time the yard was being used for storage and scrapping.